Modern Philosophy by Walter Ott, Alexander Dunn is licensed under a Creative Commons Attribution-NonCommercial-ShareAlike 4.0 International License, except where otherwise noted. As a brief overview/introduction to the major works, the coverage contained herein is fairly adequate. Certainly there is a degree of the texts seeming to be incomplete, or "chopped" up, but this is because they are. 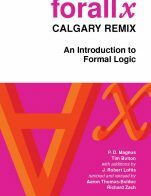 Certainly there is not an expectation in an introductory text to have complete works, but to some extent the degree to which excerpts are excerpted was slightly detremental to focusing on the connection between the constitutive pieces. This is likely just a problem inherent in trying to compile an introductory anthology of this sort, and not necessarily a problem with this particular book. Overall, the selections were well-chosen. Particularly, it seems that it would be uncommon for a text on the "modern" period of 17th and 18th century philosophy to include background on Aristotle and Aquinas. Nonetheless, Aristotle and Aquinas were incredibly influential to the 17th century rationalists. This book does include the background texts (albeit, also very cut up). This material could be skipped if one desired for teaching a first year course, but that it is there in case one wants to bring that background into the discussion is certainly a virtue. The glossary at the beginning was sufficient for an introduction to the vocabulary that might be required in order to understand some of the technical terminology contained therein. There was no index to speak of, however. The inclusion of one might be beneficial in order to locate something more quickly. (Although, realistically, this being an e-text, it is simple enough to search for a word, if necessary). One note about the content, given that this is a text on (early) modern philosophy, it seems that there are some gross omissions here. Primarily, it seems strange to include Descartes and Spinoza, but not Leibniz. Spinoza's major work is really best understood as a whole (given that it is a set of assumptions, propositions, lemmas, and corollaries) it is a bit difficult to really get anything useful out of such a broken up text. The exclusion of Leibniz seems somewhat inexplicable, especially given the inclusion of Spinoza (the latter seems more relevant, to me, to Descartes, for example). The subject areas, being comprised of excerpts from the major influential works, certainly covers the area/ideas appropriately. The notes contained throughout work as helpful interjections for placing the works or clarifying what is being said therein. Finally, it might be beneficial, for the keen student, to include a list of recommended works to follow up with, or to find more depth in a certain topic, immediately after each section. Given that the vast majority of the content contained herein is excerpted from histroical works, it does not appear that a term like "biased" would be relevant to an evaluation of this material. The content, insofar as it is excerpted, is as accurate as the translations that are used herein. This section does not seem to be particularly relevant to a book of this nature. The excerpted texts have already proved their longevity, and the comments are not extensive enough to be dated for this kind of an introduction to the texts. The subject of being "up-to-date" is not really relevant to the excerpts here, given that they are historical works in the discipline. The nature of the works contained in the text are inherently complex in terms of language. However, the notes that are posted throughout, as well as the extensive glossary of philosophical terms posted at the start of the text are helpful for working through the difficult sections of the excerpts. The text is internally consistent throughout in regard to the terminology used and the framework of the sections. However, one thing that should be noted is that no date appeared for the Hume's Enquiry or Kant's Prolegomena; this is inconsistent with the format of the works that appear previously (i.e., all of the previous works are accompanied with a date of publication or writing). The way that the texts are broken up into section is useful for a course which would cover certain aspects of the period, and not others. It would be quite easy to skip entire sections without any loss of clarity for the subsequent sections. Part of this is derived from the fact that the texts themselves are independent works, but also the way that the texts are carved up allows for reading certain sections without having been exposed to prior sections. There are several ways that the entire text could be reorganized depending on the goals of a course in the subject. As far as I could tell the comments on the individual texts did not (at least unnecessarily) refer to prior text sections. The text appeared to be set up in quasi-chronological order, with some texts appearing earlier than they should when pertinent (i.e., Descartes Methods prior to his Meditations). However, as has been noted, no date appeared for the Hume's Enquiry or Kant's Prolegomena; this is inconsistent with the format of the works that appear previously. I did not make a point of checking every hyperlink contained therein as a shortcut to a particular section (as there were a lot of them). However, of the random sampling of links that I did click on, all of them worked and took me to an appropriate section. There were no charts or images contained therein, so there was no distortion in this respect. However, there were some typographical issues (that have been noted in another section) in regard to the aesthetic flow of the work. i.e., it could be formatted better to help the reader. Some of the formatting could be cleaned up a bit for aesthetic purposes, if nothing else. Some colloquial examples might be somewhat confusing. The text is not culturally insensitive, but it also does not make use of examples that are inclusive of a variety of races, ethinicites, backgrounds, etc. However, this is not a particular fault of the text itself, but the material with which it has to work. It is just a matter of fact about the history of philosophy that the majority of texts from this period and earlier were written by a very ethnically non-diverse group of people (the same thing goes here for gender diversity). This text is fairly comprehensive. The “glossary” or introduction to the basic terms and mechanisms of philosophy is useful, clearly presented, and accessible. The background selected works of Aristotle and Aquinas are defensible as necessary to detangle some of the inherited notions in the modern era. A similar argument could be made for Plato, St. Augustine, or even Duns Scotus. It might be useful to have more selection, served by similar or the same set of inquiry questions allowing for students to self-select. This again might be a matter of canon debate but while the proffered selections are appropriate and sufficient, it is a pity that Hobbes and Leibniz are not included for the early period or that the 19th Century just is represented by Kant. I realize that decisions must be made but perhaps if some of the primary selections were a tad shorter, Rousseau or Hegel may have made the list. Better yet, perhaps there needs to be a second text, taking up what is missing. I like the idea that there is no “periodization” as I question that Descartes, Spinoza, and Leibniz can be actually grouped together as they have been except for historical convenience. That being said, if this is “modern” philosophy, it is a pity no 20th century philosophers made the cut. Again, I presume that this is for the sake of length. I do wish there was a working index. The inquiry questions are both instructionally useful and flexible in application. I am uncertain how to assess the secondary commentary. It is brief and the text relies on the expertise of the instructor. I would find this acceptable but some readers may benefit from more commentary. Given that for the most part, this text is a primary text resource, content accuracy is not an issue. Content is relevant. And it is amenable for an instructor to include other primary selections, adapting the inquiry questions to those readings. Given the text’s scope and sequence of primary resources, it is internally consistent in all respects. Modern Philosophy is adequately divided. I would argue in some of the selections smaller offerings to allow for inclusion of other philosophers. This would perhaps allow for readers to also extend their own critical commentary on their own. The organization of the text is logical and clear. I could find no grammatical errors. In this time of cultural relevance, the title might be adjusted to Modern Western Philosophy. The text is, in effect, a period-centric survey of philosophical thought. As such, its contents, philosophical texts from Aristotle to Kant, are appropriate. However, in my estimation, they are inadequate. 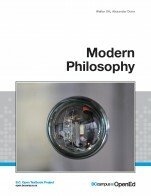 This text presents itself as a "textbook (or better, a workbook) in modern philosophy." Insofar as it is a textbook, merely presenting the works of canonical philosophers along with some guiding study questions is insufficient for classroom instruction. What a "textbook" calls for is some more curatorial work in the form of a lengthier introduction, which would ideally lay out some of the dominant philosophical topics, themes, and conversations at work in the selected texts. An ambitious introduction would also address the coevolution of the philosophical ideas with political, cultural, and scientific developments of the era. Then, each individual section (organized around the work of a particular philosopher) would also have its own, more incisive introduction in this vein. If this is merely a "workbook," then I would hope that it would be a companion volume to a particular textbook that does this kind of critical curatorial labour. Nevertheless, in my estimation, the only thing preventing the "workbook" from also being a viable "textbook" is the absence of such framing measures. There is a helpful glossary of terms at the beginning of the book. The overwhelming majority of the content is excerpted from canonical philosophers' work. Yes. The glossary does a competent job of preparing the reader for the philosophical jargon they will encounter. It is internally consistent in the sense that it is a bare-bones selection of philosophical texts. The editors present little in the way of context or guiding threads. Yes. But some of the philosopher chapters, especially the Kant section, seem a bit lengthy. They could easily be trimmed down to better accommodate the term cycle. Still, that could be left to the professor's discretion. 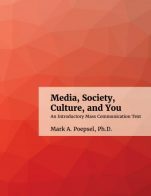 In the sense that this is a more or less chronological survey that takes the reader from philosopher to philosopher, the topics in the text are presented in a logical and clear fashion. Still, as I have already mentioned, what is sorely missing is the kind of explicit editorial suturing work that elucidates the tacit and explicit conversations at play between the philosophers. As such, the text does not flow as smoothly as it should. But I appreciate that, as an Open Textbook, it will be available to such interventions. For the most part, the text is fine. However, some of the Archive.org versions, like the file of Kant's Prolegomena, are a little messy and, at times, hard to read. I did not find any grammatical errors. The text is not insensitive. But I would consider renaming it something like "Western Philosophy of the Modern Period." As a survey of modern philosophical thought and its precursors, this textbook/workbook is adequate. But it does disappointingly little else. Professor Ott is clearly adept at framing the philosophical conversations at play in the modern period, as evinced by his introduction to Causation and Laws of Nature in Early Modern Philosophy. I hope that he (or someone like him) will insert this kind of content into what is currently a fairly inert collection of philosophical texts. The book description indicates that this is “a workbook more than a textbook” and as such - as a reviewer - it is difficult to judge it as a textbook with the criteria outlined. At a fundamental level it lacks comprehensiveness because there is such a limited amount of original content. It does not provide much meaningful context and is essentially a few sentences or paragraphs connecting excerpts from primary texts, interspersed with study questions for students. It reads more like a teaching guide or an instructor's lecture notes than a textbook or even a workbook. I found much of the format and content to be problematic, as will be outlined below. The “Glossary of Philosophical Positions” (pages 7-9) is also problematic as it seems to conflate the actual branch of philosophy (example: metaphysics) with potential positions taken or concepts explored within that branch (substance, properties). The main headings (epistemology, metaphysics, etc) should be clearly defined. If this is an introductory course, students will require more context and understanding of the fundamental concepts before jumping into positions held, especially when they are so out of context. Although the author notes these characterizations are "controversial" and “we have to start somewhere,” I think we can do better than this. Again, I advise removing this section entirely and adapting or writing a comprehensive guide to logic and reasoning that provides context. If a glossary of this kind is absolutely necessary I would recommend adding it to the end of the book to serve as a reference instead of at the beginning where I have to imagine it will only confuse the reader. The “Glossary of Principles” (page 9) is also out of context and confusing. If such principles are related to specific readings (example: “Causal Principle from Descartes”) wouldn’t the reader be better served if this information was integrated into the Descartes section where that principle occurs? Another example would be integrating the the Copy Principle (CPY) into the relevant section on Hume (page 167-8). The introduction to Modern Philosophy (page 11) should be one of if not the first thing the student reads. 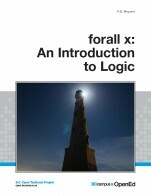 If a section on logic and practical reasoning is needed for this course I would recommend providing context within the study of modern philosophy for this requirement and to use/adapt different source material to do so (as noted above). While I appreciate and agree it is important to understand modern philosophy in the context of Aristotle, I’m not sure it will help to provide excerpts from the primary text without more context and support for the students. Using terms like ontology (page 11) with no background or definition or glossary entry, will likely not help readers. The introduction to Spinoza (page 75) lacks context and depth. Again I recommend to either do a comprehensive introduction or bypass it entirely. The introduction to Locke (page 95) is (to use the author's words) “something of a mess!” Can we quote Locke on his own essay here instead of paraphrasing? What decisions has the author made in order to determine what is important? What process was used to construct this “coherent and systematic whole”? Only one fallacy is covered in Section 2; why is the strawman fallacy the one we should be “most worried” about? Because the author says so? This seems unfounded. What is the evidence for this claim? I find the use of the term ‘existentialism’ throughout the text a bit confusing (page 8, 19, 43, etc) as it is not referring to the 19th/20th movement but seems to be retroactively applying their principles onto ancient and modern thought without context. If this is the case, it’s use as such should be made explicit. The use of the word thesis (pages 7-8) when describing philosophical positions causes some pause. Typically things like dualism or determinism would be described as a theory, or a doctrine. Does the author intend to use the Hegelian meaning of thesis? Is the author substituting thesis for theory? I’m not sure it’s entirely incorrect, but it does cause pause. Unnecessary judgment implied by ‘schools’ in single quotes (page 11). The brief description of Aristotle’s Categories (page 11) is not helpful. There is no evidence for the claims. And philosophical jargon, like the word ontology, are used without definitions or explanation. “the standard scholastic textbooks then in use” (page 31) might benefit from some context or explanation: what was the standard in 1644? If we can't provide context, I would recommend deleting this line. - Page 37: “The Meditations are among the most frequently misread works of the modern period” - according to whom? - Page 37: “Skepticism is merely a tool Descartes exploits; it is not an independently important or interesting subject.” - This is wildly unfounded and in my opinion inaccurate. A justification or citation is required for a statement like this. These generalizations are particularly glaring in a text that is trying to teach people how to reason soundly. - Page 48: “Descartes uses some scholastic jargon in this Meditation, which can be very misleading. Watch out for these phrases; they mean roughly the opposite of what it sounds like they should mean.” - According to whom? Which phrases? “Roughly the opposite?” Each of these claims need to be accounted for, backed up, cited and put into context with examples. - Page 84: The paragraph that begins “Spinoza denies the Cartesian claim…” is also problematic. Whose thoughts are these? If it is the author’s commentary, that should be explicit. Why is it not in italics? - Page 95: The author now changes the convention of italics use, but just for the chapter on Locke? - Page 109: “And neither makes much sense.” According to whom? Based on what? - Page 121 “Scholars disagree” - which scholars? Contemporary scholars? Those from the modern era? Citations required for this statement. Page 37: which “literary form” does Descartes choose? How does it allow him to subvert their views? “Why are we not content” is leading. Rephrase to ask, Are we content to admit that the Categories…” (page 260). “Neither work” (page 263) - why is this the case? According to whom? “So, we’ve really got just one problem here” - according to whom? Does everyone agree there’s only one problem? Why not rephrase to say there is one problem in particular that you want to focus on? “Fess Parker,” a television actor from the 1950s (that I had to google), is named as the world’s greatest actor (pages 6, 7). We should pick an example we can quantify (perhaps by the number of oscar nominations, with consideration of relevance, using actors still currently making movies), such as: Meryl Streep, or Denzel Washington. Or, we could change the example to most the popular singer and update to an example that will likely remain current in the following years, such as Beyonce, or Rihanna. David Letterman is used as an example (page 7), which should be updated to reflect currency. For me this text fails in terms of clarity. It is jargon-heavy with simplistic definitions that lack context. Again, I point to Section 2 “Minilogic and Glossary” which is extremely problematic (including its title because as far as I know, “Minilogic” is not a word). Are students familiar with the use of latin abbreviation viz. as a synonym for "namely" or "as follows"? This occurs throughout the text. I also find that the fill-in-the-blank convention employed throughout is not useful at all: “Premise: Sometimes, while dreaming, ___.Conclusion: Therefore, right now I cannot tell ___.” (See pages 42, 43, 48, 56, 57, 62, 72, 83, 84, 85, 135, 135, 142, 143, 155, 174, 211, 259,263, 264, etc). I recommend removing idioms such as “fish to fry” (page 106) that are unnecessary and can be complicated for many readers, including ESL readers. “Set out in (125) above” (page 176) - is there a 125 above? Step 3: Summarize Hume’s position, do you agree or disagree? This work suffers from various formatting inconsistencies that compound the comprehension issues. Page 6 starts an alphabetical list with b. instead of a. Page 16 starts an alphabetical list with the letter c.
Pages 20-21 are good examples of an inconsistent framework - with some arguments listed numerically and others listed alphabetically. This is not the case at various points throughout the text and is not the case at all for Section 2 which only adds to the confusion. It appears that Antoine Arnauld’s objection and Descartes’ reply (Page 72-74) is in italics when it is primary text material and should be in non-italics. On page 21 an argument is referred to using three different naming conventions. First the argument lists premises alphabetically (“a. Everything must have a cause”), then the next paragraph talks about “the move from (ii) to (iii),” then in the following question it refers to “premises 1 and 2.” Clarity, consistency and standardization are required throughout this text. Using the P1:, P2: convention for argument premises is standard. The section asking for a reconstruction of Spinoza’s argument (pages 83-84) contains inconsistently numbered propositions and confusing fill in the blanks that detract from the potential clarity of this section. On page 101 the alphabetic list starts with b. In addition to the list, the paragraph that begins “As we’ll see” seems to be the author’s text and therefore should be in italics. On page 117, an alphabetic lists begins with c.
On page 135, an alphabetic lists begins with d.
On page 143, an alphabetic list beings with r.
On page 211, an alphabetic list begins with b, and then uses (i) and (ii) to refer back to the principles listed. On page 214, an alphabetic lists begins with b. The author’s text is interspersed with the primary texts which makes it difficult to assess according to the above criteria. This work could certainly benefit from subheadings indicating where the primary texts ends and the commentary and study questions begin - as noted throughout, the author's attempt to use italics to indicate these breaks is inconsistent and ineffective. This is an issue throughout the whole book. The philosophers covered are presented in chronological order and the questions to students build on the previous philosophies covered. The other issues regarding organization, structure and flow have been addressed in previous sections. There are no images, or display features. The charts (pages 250, 274) should be checked for accessibility. There are inexplicable “?” at the end of the footnotes (pages 9, 163, 289, etc). The inconsistent spacing overcomplicates things (see page 3 Argument section). Removal of on page 96. “i’ve” should be capitalized as I’ve on page 224. “what” should be capitalized on page 248. Spacing should be fixed between definitions on page 251. Periods should be added at the end of sentences. What do we mean by “blind” on page 251? Is there another term to describe what is intended? 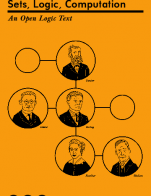 This text on modern philosophy features white male writers from 1500s-1800s. There is little to no discussion of or opportunity for diversity or variety here. Recommend replacing “Fess Parker” example with something more relevant and culturally diverse. See suggestions provided in previous sections. I would not recommend including this work in the open textbook repository. In my opinion, there are too many issues of clarity and comprehension in a work that contains very little original content. Specific updates have been discussed in previous sections. I hope there may be the opportunity for the creation of an original open source textbook on modern philosophy to take the place of this text. Perhaps this will be an outcome of: https://forum.rebus.community/topic/56/general-discussion-introduction-to-philosophy?